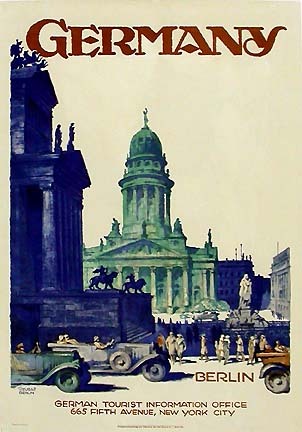 Lithograph in colors, printed by Otto Elsner, Berlin, Germany circa 1935. Condition: Very Fine (A-) small tears in margins, backed on linen. Sheet size: 29 H. X 20 W.